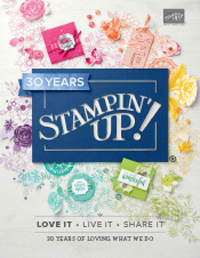 One of the new stamp sets from the new Stampin’ Up! catalogue is called Eastern Influences, and it was another that I just couldn’t do without 🙂 It is just gorgeous and another one that I can see myself using quite a lot! The original idea for this card came from here, but as always I have modified it and really like the end result. The cardstock I have used for the main image was a bit of an experiment – I have used textured cardstock instead of Watercolour paper, even though I did some watercolouring. I wasn’t sure how it would turn out, but it seems to have worked well, it has that textured look which I like in this instance. To make sure the paper didn’t buckle with the watercolouring, I used a blender pen and only a really light layer of ink, and used darker colours to get some depth and shading rather than blending over the same areas. I really enjoyed making this card because I got to play with lots of my new, yummy stuff! 🙂 Hope you like it too. 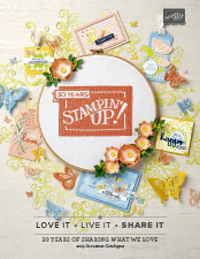 Stamp Sets: Eastern Influences, On Your Birthday. Cardstock: Whisper White, Basic Black, Pink Pirouette, Patterns Designer Series Papers in Pink Pirouettte. Inks: Black Stazon, Pink Pirouette, Regal Rose, Kiwi Kiss, Always Artichoke, Basic Brown. Accessories: Eyelet Border Punch, Small and Large Oval Punches, Blender Pens, Paper Piercing Tool and Mat, 1.59cm Striped Grosgrain Ribbon in Pink Pirouette, Regal Rose Marker, Colour Spritzer.